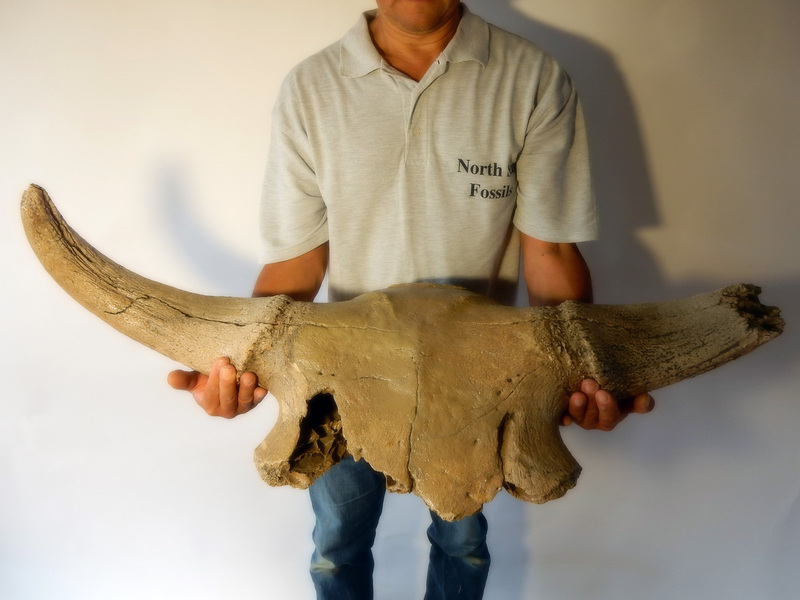 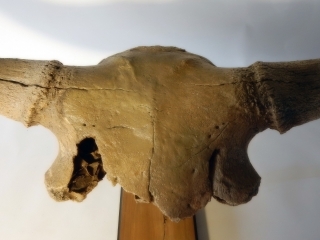 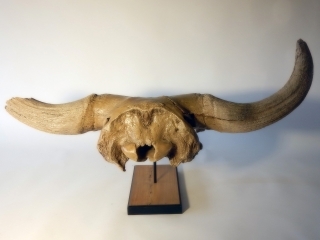 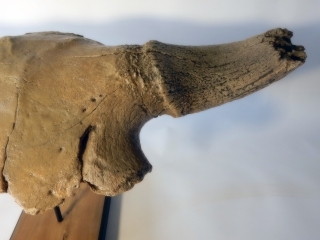 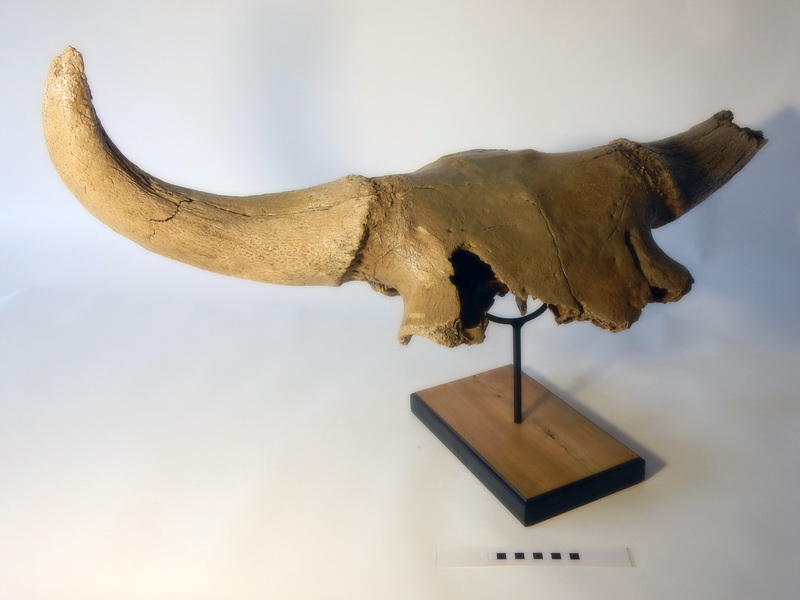 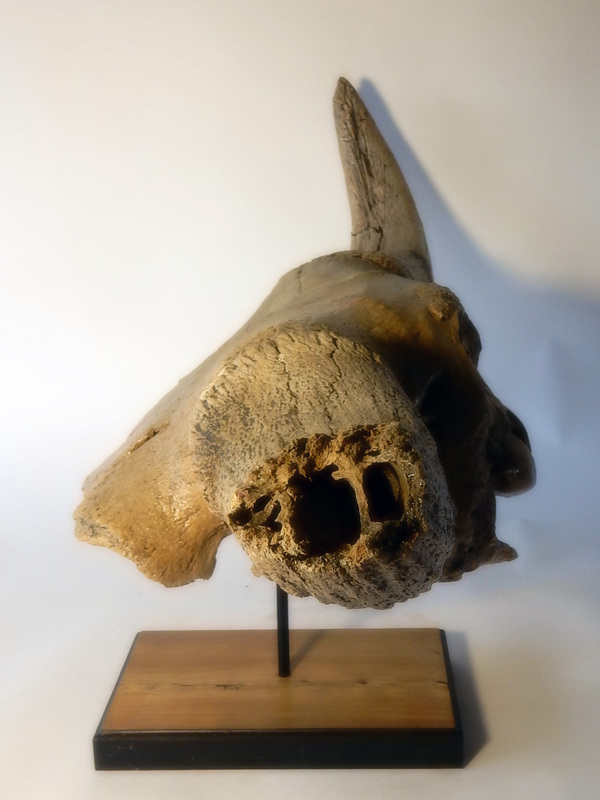 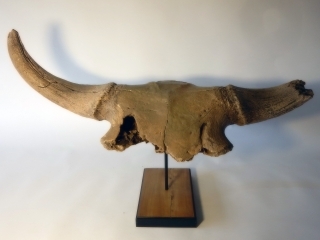 On offer is a fantastic cranium with hornpits of an adult Pleistocene Wisent, the predecessor of modern day American and European bison. 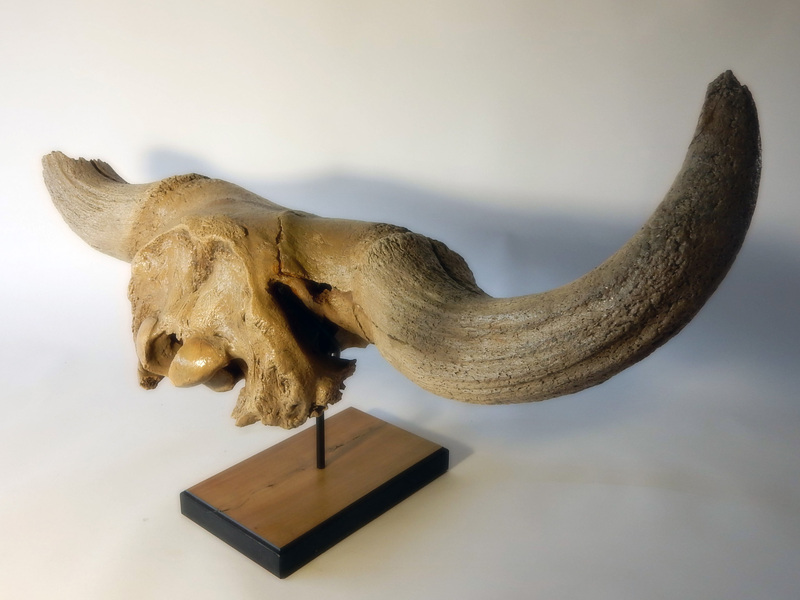 Professionally restored from the original pieces (these intricated pieces are rarely found intact) but still in good state of preservation. 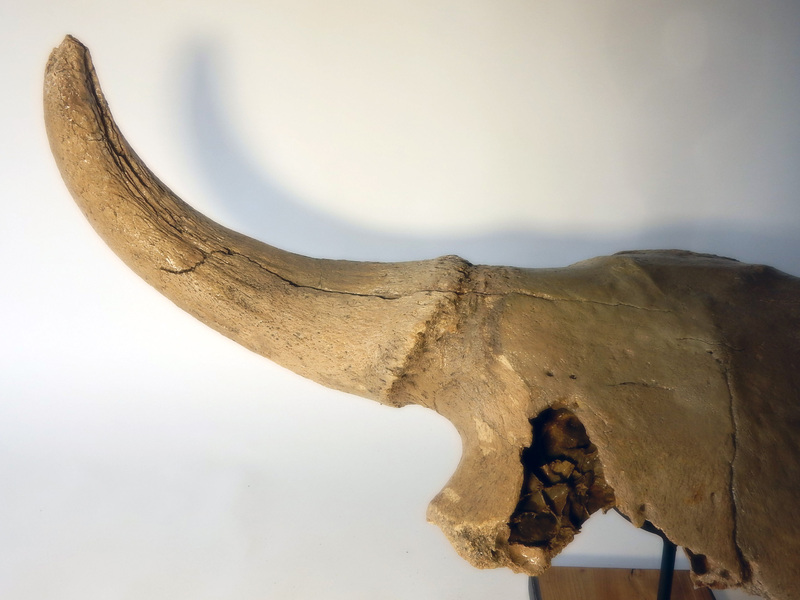 The black and white section of the ruler in the image represents 10 cm (3.9 inch). 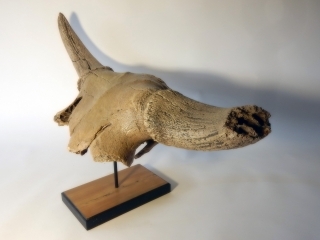 Attractively presented on a custom-made wood stand with natural wood finish, and ready to display.